Lush Fab Glam Inspired Lifestyle For The Modern Woman: A Smile Is An Inexpensive Way To Change Your Looks. When we focus on beauty, we often get stuck on the more marketed notions like skin care, hair care and cosmetics while ignoring one of the most important factors 'a healthy smile'. Without it our makeover or other facial improvements just don't seem as beautiful. Charles Gordy once said that 'A smile is an inexpensive way to change your looks' and he was right. Remember that awkward look someone has when they can't produce a real smile, where their lips are sealed tight. Now remember how inviting and heart-warming it feels when someone beams a beautiful smile at you, with their perfectly aligned pearly whites. While many of us do the basics when it comes to caring for our teeth like brushing at least twice a day, flossing and regular visits to the dentists. 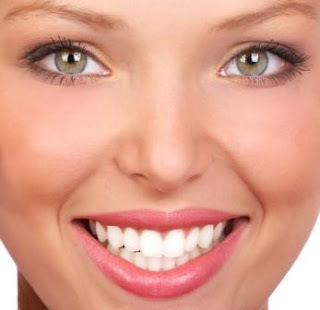 There are additional ways to ensure that our teeth remain properly aligned as we grow/age. Severely misaligned teeth and jaws can cause snoring, sleep apnea and other breathing problems. In these cases a visit to an orthodontist can be the difference between someone growing up with health and self esteem issues and having a normal smile. Most people only visit an Orthodontist when they are referred by their family dentist but as part of our mouth care routine we should take the initiative and schedule an appointment/visit with an Orthodontic specialist for the entire family. A consultation and initial examination will determine whether you have an orthodontic problem and the available treatments. Whether you need to extract teeth to correct the problem or require braces, in which case you can choose between the regular braces and the new clear alternative invisalign. To learn more about Orthodontic care visit Las Vegas Invisalign reviews.